Looks like the Galaxy Note 10.1 isn't the only Samsung product getting attention today. 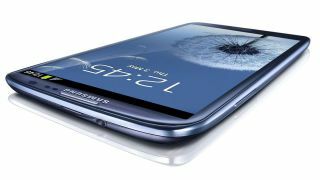 A user who got his hands on the build apparently filmed the Android 4.1 update on the Galaxy S3 smartphone, slated not to appear officially until August 29. Showing nothing but a few fingers, the user plays around with a Jelly Bean-upgraded GT-19300 Galaxy S3. While the homescreens and widgets look about the same as the smartphone with Ice Cream Sandwich, Galaxy S3 owners will nonetheless be very happy with the new OS. In addition to a redesigned login screen, the upgrade lets users instantly share screenshots and photos from the notification bar. Google Now with voice interactivity is also coming to the device. TechRadar brought the news to light Tuesday that, according to an anonymous source, Samsung was readying the Android 4.1 update for release August 29. We reached out for a comment from the company but have yet to hear back. Irregardless of official confirmation, the video shows just how close Jelly Bean is to dropping on the S3.